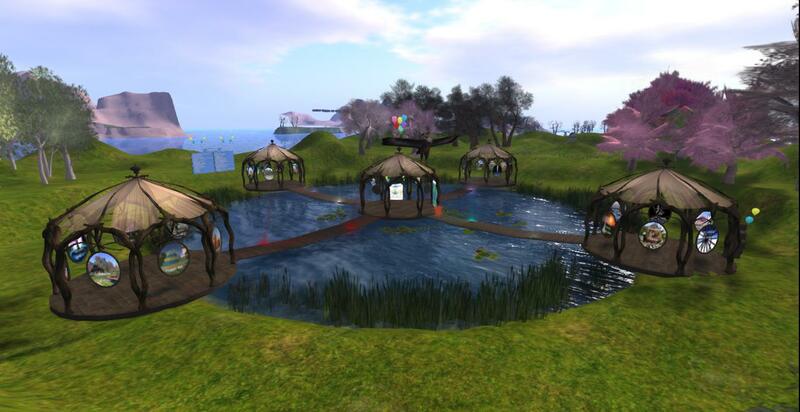 This weekend the OSgrid is celebrating its 10th birthday and today I went along to check it out for myself. 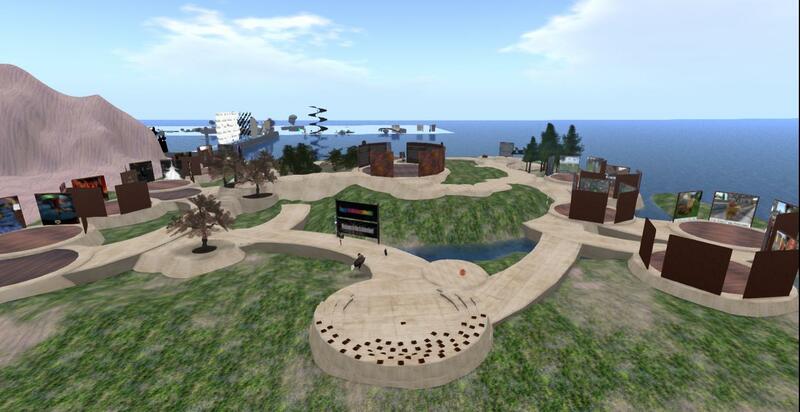 There are five specific birthday regions to explore this year: OSG10B1, OSG10B2, OSG10B3, OSG10B4 and OSG10B5 full of amazing exhibits from the OSgrid community. For the OSG10B main stage and live music events visit the Event Plaza. The Event Plaza looks awesome with the OSG10B balloons and banners up. Here are the OSG10B regions showing the exhibits from the sky. The builds look incredible from walking around and the overall layout is nicely done I think. 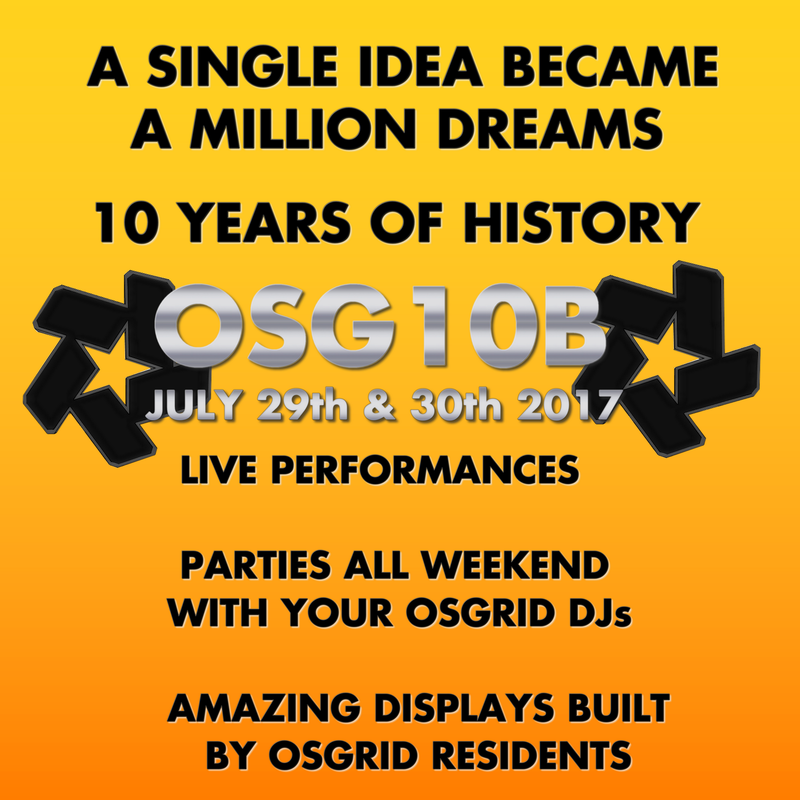 OSgrid will be celebrating it’s 10th birthday this weekend (#OSG10B) with a great selection of live performances, live djs playing great tunes and birthday themed events to mark this very special occasion. It’s going to be the biggest party ever on the OSgrid and it’s expected the visitor attendance will be pretty high during the weekend. Finally there will be many exhibits worth seeing created by OSgrid residents who have spent hours creating their own content for this year’s 10th birthday. Today OSgrid comes top of the table for the most regions and most active users on OpenSim which is pretty impressive after ten years. The original purpose of OSgrid was to provide for a test platform for the development and testing of new code for opensimulator. This purpose has continued but with the additional purpose of providing a free and open source social platform, for the expansion of the arts, education and scientific advancement and to promote the further advancement of the opensimulator project. OSgrid is a non-profit effort, so to keep the grid online each month, we rely on your continued donations. There will be a special event happening at IW6 between 1:30pm to 3:30pm PDT on Friday 27th March 2015 over at the IW6 Then and Now Museum. Featuring Bardic Storytelling, poem tellings, brief stories and much more. This event will be moderated by the illustrious Bard Aoife Lorefield of the fabled Seanchai Library, which has just established its presence InWorldz at Sendalonde. 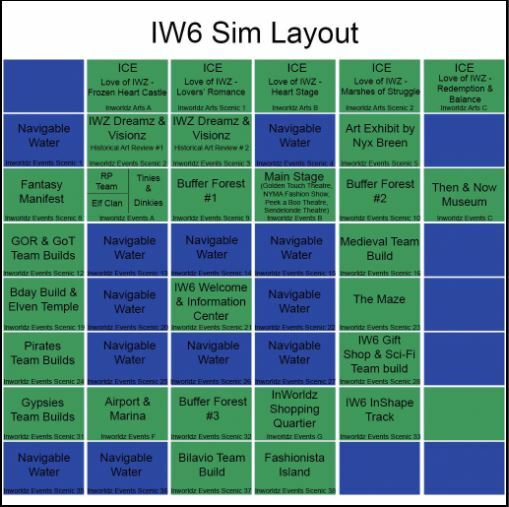 IW6 Then and Now Museum is a trip down memory lane where you can look at many historical pictures and info boards of InWorldz past and current community. Walk from station to station to discover the history of InWorldz. 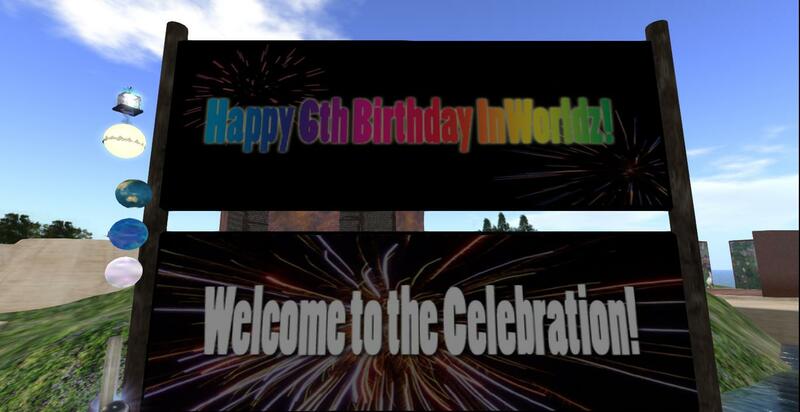 Today marks the start of InWorldz 6th birthday celebrations and to mark this special occasion there will be entertainment and festivities through until 2nd April 2015. 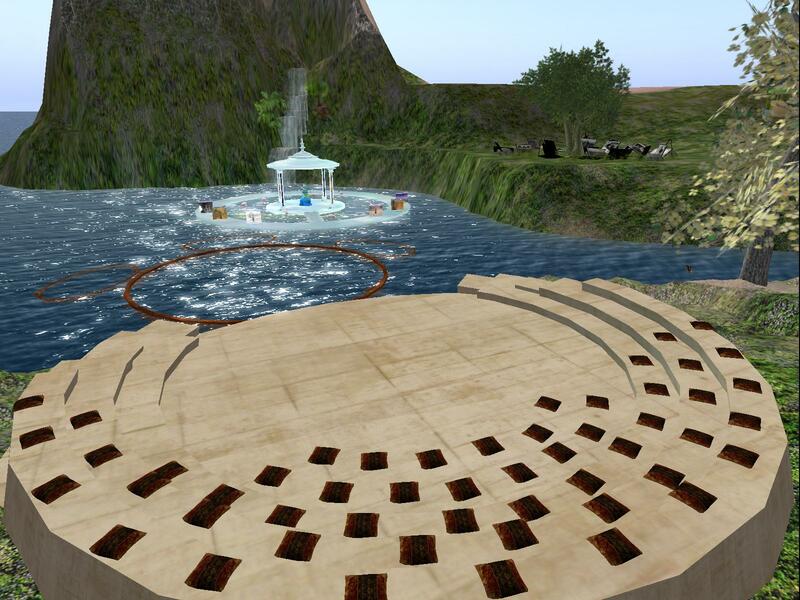 The theme for InWorldz 6th birthday is Community – Then and Now. The tag line is With Community All Things are Possible!. There are over 40 sims to explore this year full of fantastic art, build designs, exhibit experiences and much more. The grand opening to InWorldz 6th Birthday starts at 11:45am PDT on Friday 27th March 2015 with birthday announcements from EC and a special water show, DJd by Astoria Luminos over at the Water Show Amphitheatre. 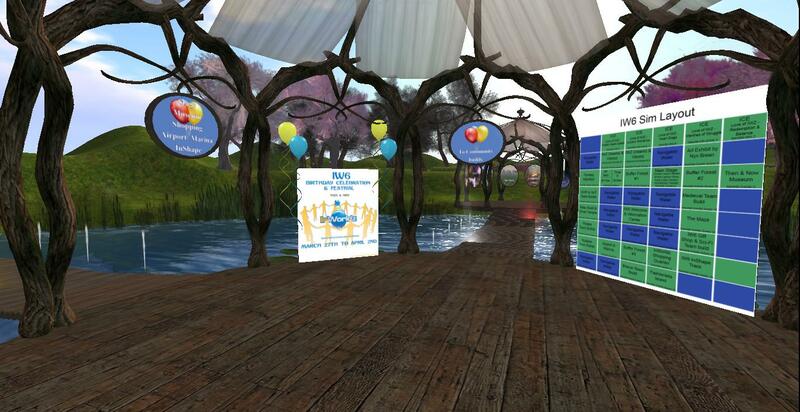 Here is the sim layout for InWorldz 6th Birthday Celebrations.